The Massachusetts Comprehensive Cancer Prevention & Control Network (MCCPCN) is putting the finishing touches on a survey on palliative care geared towards treating cancer patients. The Home Care Alliance is a part of an MCCPCN task force that built the survey, which will be distributed to agencies via email form DPH. Agencies are strongly encouraged to take the time to respond. MCCPCN is under the Department of Public Health and a cover letter from Commissioner Cheryl Bartlett explains the reasoning and background to the survey as well as how it will help advance palliative care services. Questions on this issue can be directed to James Fuccione at the Alliance. Once again, the actions of the few bad actors in home health and hospice are getting media attention rather than the vast majority of agencies that are devoted to providing high quality care to keep people comfortable and at home. 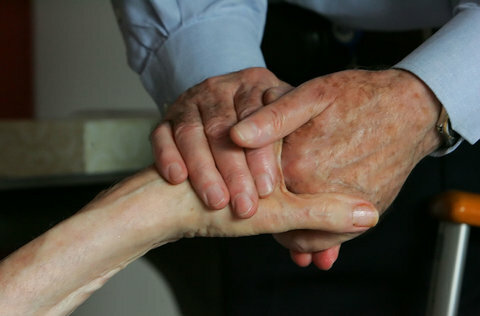 In an investigative report, the Washington Post highlights findings that the number of patients discharged alive from hospice rose by 50 percent between 2002 and 2012. The article also highlights numbers from the Medicare Payment Advisory Commission (MedPAC) stating that in 2011, nearly 60 percent of Medicare’s hospice expenditure of $13.8 billion went toward patients who stay on hospice care longer than six months. The article singles out for-profit hospices in particular, but still puts all hospices in a negative context. We must all do our part to ensure that hospice remains a viable choice for terminally ill patients and their loved ones. Articles of this type may unwittingly discourage use of hospice care, thereby denying terminally ill patients and their families access to vital services that support and comfort them during and in the aftermath of one of life’s most difficult journeys. Under these circumstances, no one is well served.